Whether it's task-focused, mood-setting or just for style points, lighting is one of the most important details in a room. With only a single light source, a hideous ceiling mount light/fan combo, our bathroom's lighting left much to be desired. Not to mention, the light and the fan were wired to the same on/off switch so if the light is on, the noisy fan is on. Which is perfectly fine if you're using it to drown out the noise during an intense bathroom sesh but, aside from that, just an insane waste of energy. When we first started renovating the mudroom we removed the back wall which gave us access to the framing and backside of the bathroom wall. 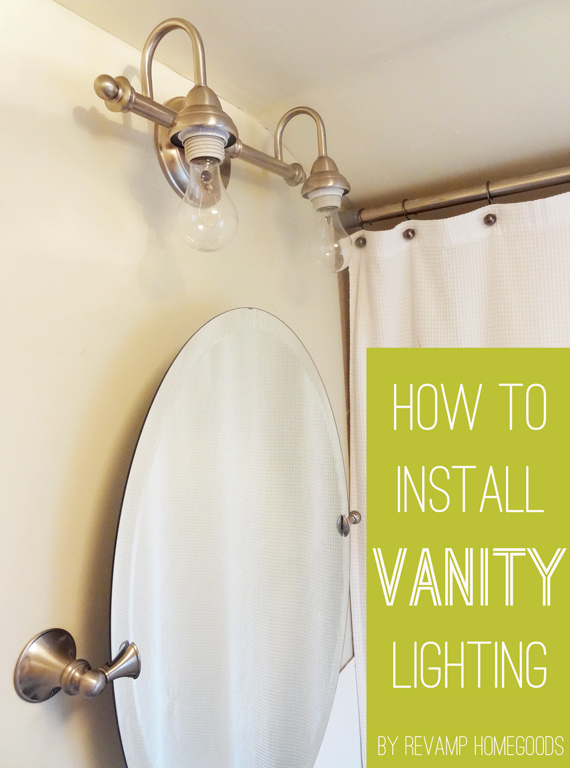 A perfect opportunity to install a vanity light, right? Unfortunately, an utter communication breakdown shattered those dreams as Josh replaced the drywall before we could install the wiring. And then the clouds parted, the sun shone down and the design gods answered my prayers. The drywall had to come back down which meant we once again had access to the inner workings of the wall. The bathroom light installation project was on! Based on budget alone, Josh quickly shut down all the gorgeous options from yesterday's Schoolhouse Electric post. Back to the drawing board, I set out to find something that was a win-win for us both - an attractive fixture for less than $50. The Portfolio vanity 2-light bar from Lowe's was a great fit. It could be customized with any type of shade and was just over $30, plus it was very similar in finish and style to our Moen Glenshire pivoting mirror. With the vanity light in our possession, installation was the next step. First, we made sure all power was off at the electrical panel. Next, we determined placement above our mirror and traced the lighting box. Next we cut out the hole using a hole saw the same size as the lighting box. We placed the lighting box in the hole and then mounted the extending brace to the studs and the lighting box to the brace. 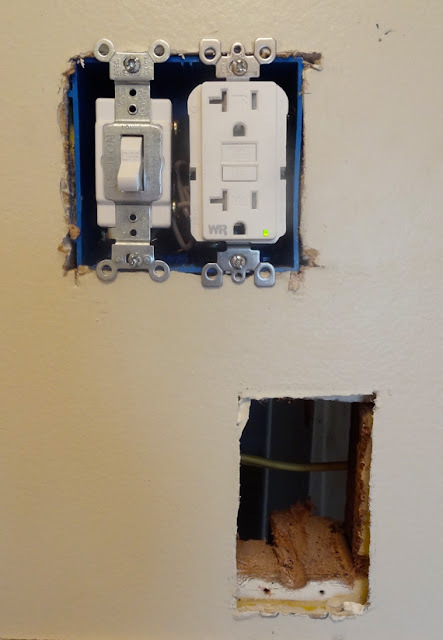 We moved the existing wall outlet to make room for the beadboard/board and batten treatment and replaced the old outlet box with a larger one to house both the outlet and the lighting switch. 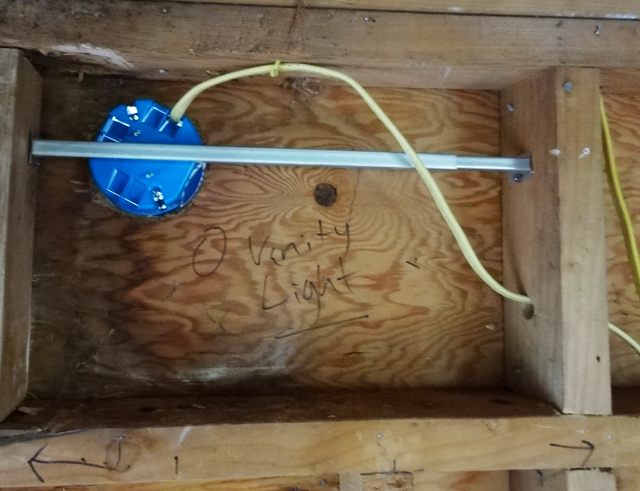 We then ran the wiring from the switch box to the lighting box. For detailed instructions on electrical wiring, we always reference The Complete Guide to Wiring by Black & Decker. 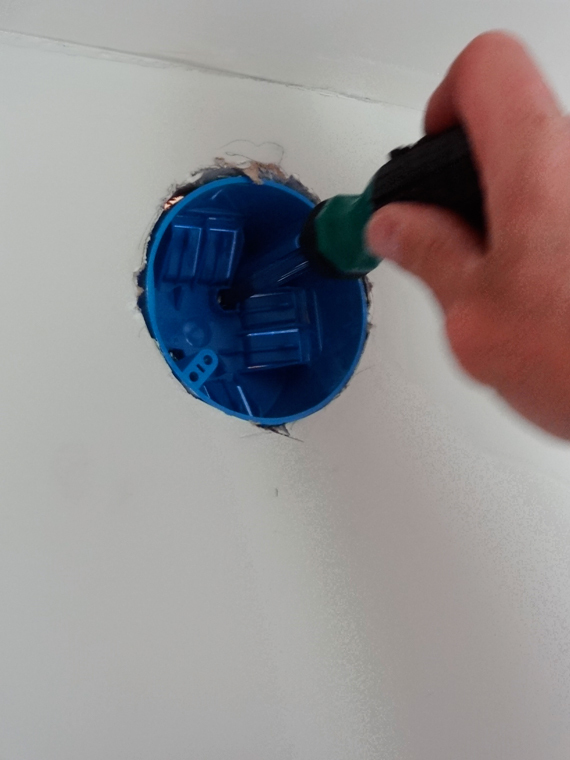 Next, we threaded the supply wires from the switch to the lighting box. 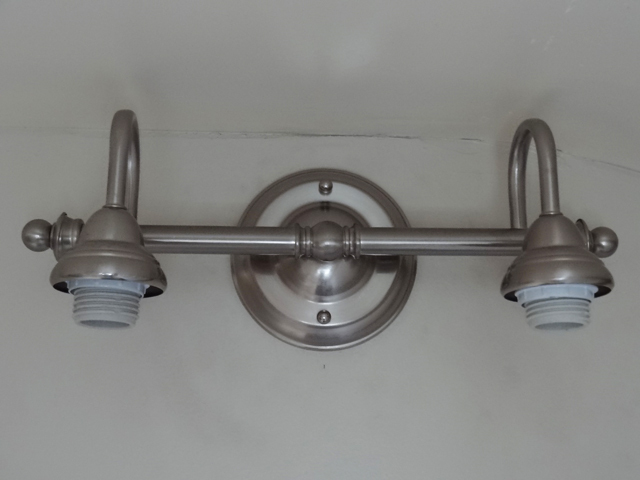 According to the vanity light's manufacturer's instructions, we installed the mounting hardware into the lighting box. 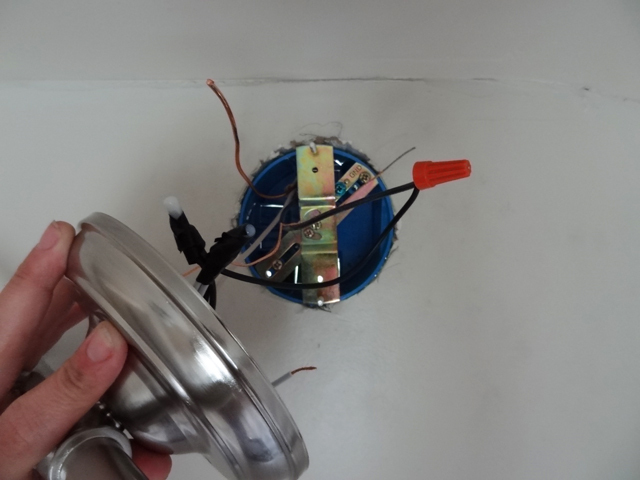 Then we connected the supply wires to the fixture wires. We capped off each end and wrapped it in electrical tape. 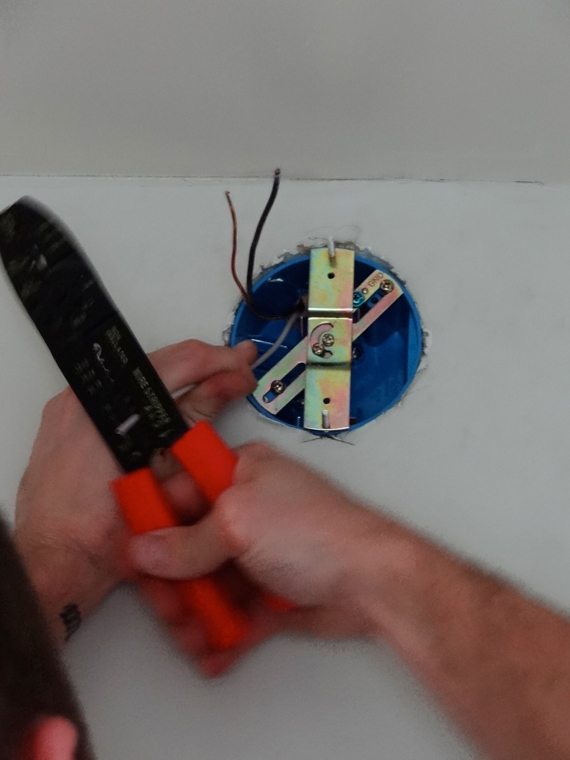 We tucked all the wiring back into the lighting box and screwed the base into the mounting hardware. If you don't have access to the inside wall, don't fret. All you need is a remodeler's box which you attach directly to the wall with screws. The rest of the steps are nearly the same. 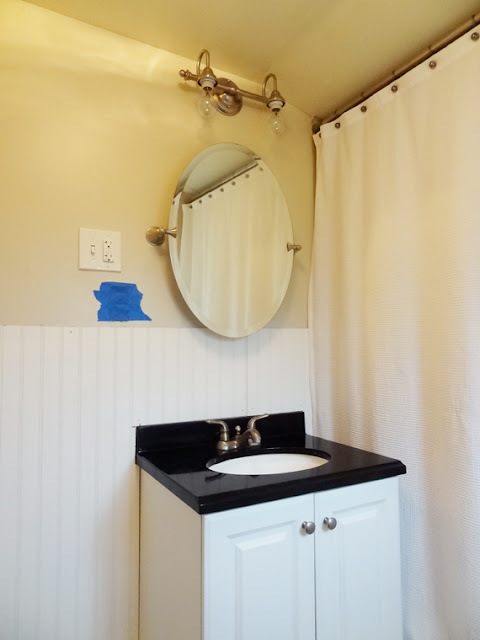 This bathroom still needs a little work before it's finished - like hole patching and completion of the beadboard/board and batten treatment - but I must say, the lighting in here is fantastic. And, I love that I can turn the light on without hearing the blaring fan. 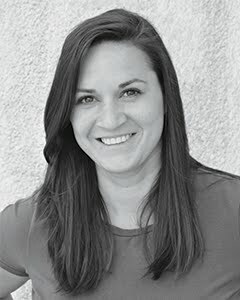 Here's an early before photo. And an updated progress photo. This bathroom is so close to being finished. Soon enough I'll be able to put all of the fun decor pieces back up - because without them it's definitely back to being pretty blah. So what about you guys? 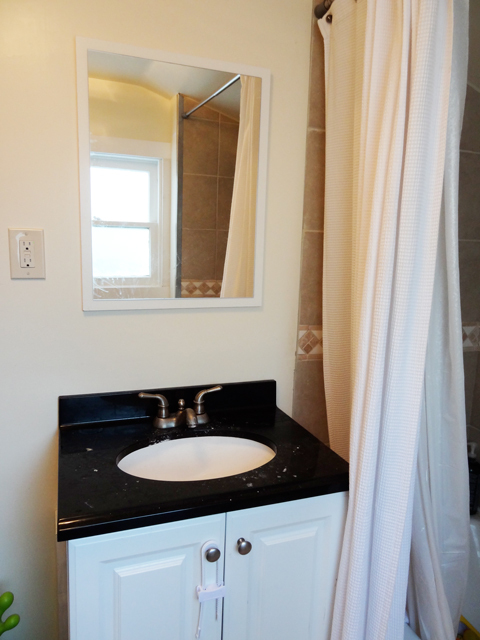 Do you have multiple light sources in your bathroom or do you get by with just one? 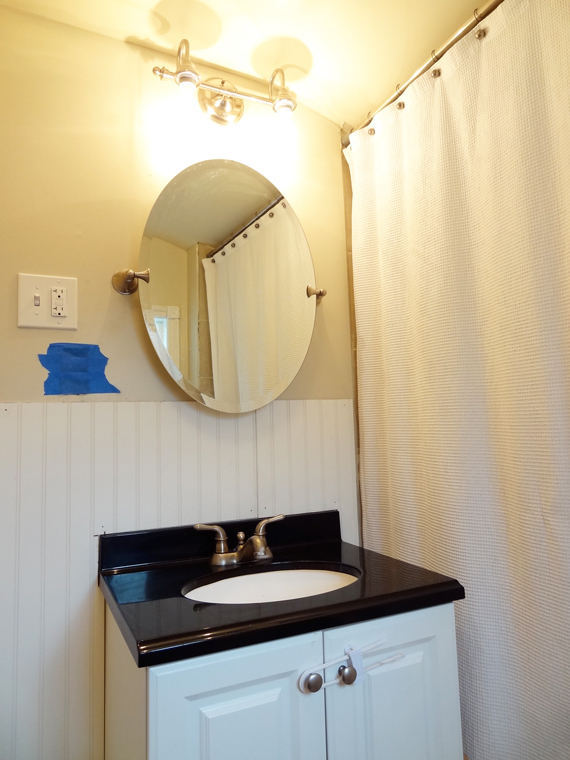 Any bathroom updates you've DIY'd?